This range is based around the idea of keratin treatments, which are semi/permanent hair straightening solutions you usually get in salons. The problem with those is that they can be very expensive and damaging to your hair, so for a girl like me, who's hair looks like an out of control poodle once its blow dried, this new inexpensive and repairing range is an absolute godsend. 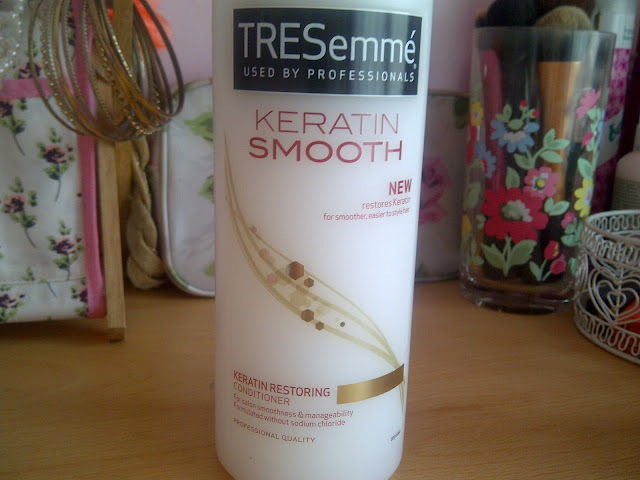 I'd already heard great things about it from a couple of bloggers so when I saw the whole range was half price in Superdrug (they don't seem to sell it in Boots yet) I knew I had to get it all apart from the shampoo as I always use a purple shampoo to keep brassiness out of my blonde hair. 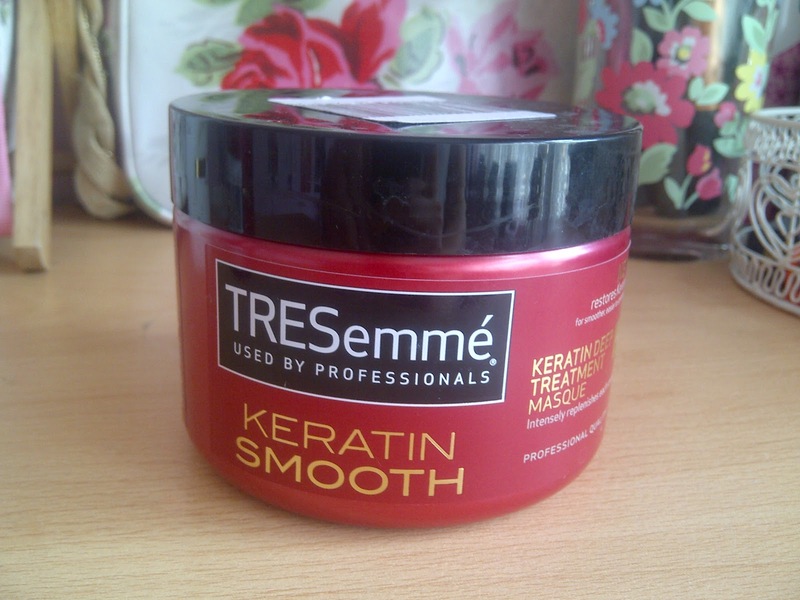 The products promise to restore the keratin in your hair making it salon smooth and manageable. So do they deliver? Keratin Restoring Conditioner and Deep Treatment Masque- I don't think I've ever used conditioners that give such instant and noticeable results as these do. After the first use of both I saw a huge difference in the smoothness, manageability and condition of my hair, the only difference is that the mask gave better and more noticeable results obviously because it's a deeper treatment that you leave on for 3-5 minutes rather than the 2-3 of the regular conditioner. With my very curly/frizzy hair type I'm never going to find a product that leaves my hair salon smooth after just blow drying, but these certainly help to tone down the frizz and make straightening much easier and more effective. I also seem to have less breakage now so they seem to greatly improve the actual condition of hair as well as the look and feel of it, which is great news if you dye your hair like me. 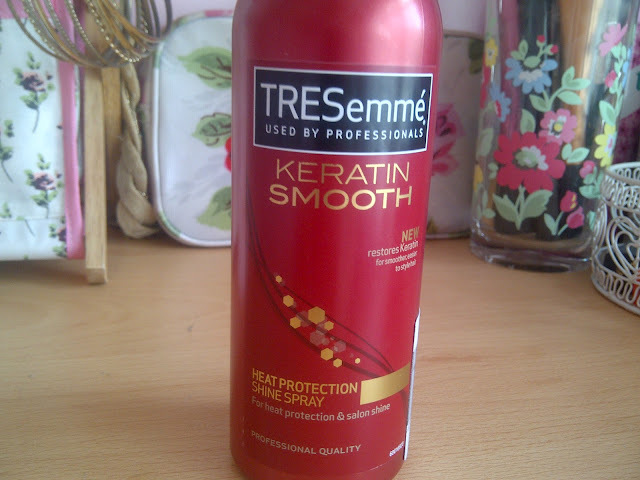 Heat Protection Shine Spray- I can never really tell if a certain spray protects my hair more than others, I only know that my hair looks and feels really silky, smooth and shiny after I use this before styling my hair, which is something I really struggle to achieve with my hair type. Another thing that puts this spray above other heat protection products is the fact that it makes your style last so much longer than usual. I've tried quite a few products that actually claim to do this and don't (I'm looking at you John Frieda full repair styling spray! ), but this one doesn't even promise it will and yet my straight or curled heat styled hair really stays in place all day when I use this, which is something fleurdeforce said she noticed too. 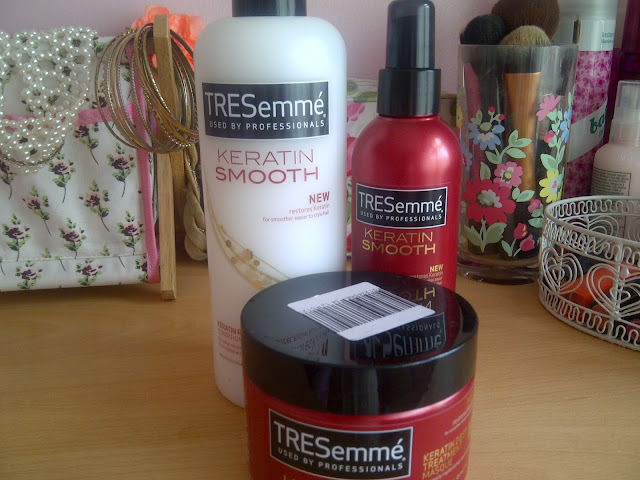 I've been using The Tresseme Shampoo, conditioner, hair mask for about 4 or 5 weeks now (i did a first a short review on it). My hair is so dry since my last hairdresser went to work and ruined my hair, the keratin shampoo and conditioner works but when i wake up in the morning my hair is back to the start dry and frizzy. 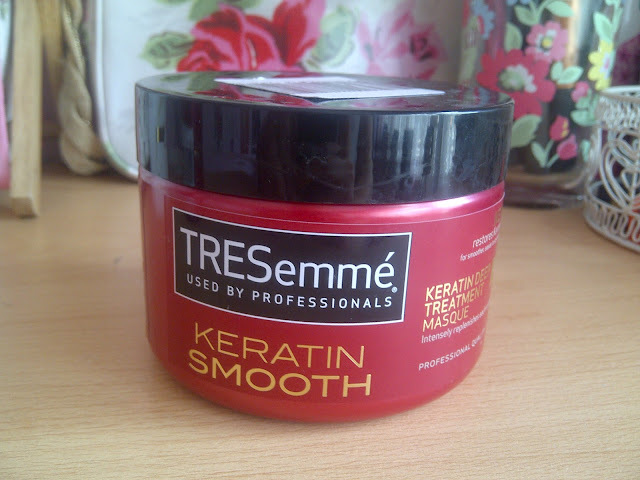 The keratin set does help but i don't think its helped improve my hair, i wish it did. I definitely want to pick up the mask. I have a kink in my hair, and I find it's waaayyy less noticeable when I use Keratin products, when I don't have time to get it of my hair. Ooh this range sounds perfect! I rarely use heat but I do have frizzy hair that is prone to breaking a lot, and I dye it! Glad this product worked for you but is it just me? Does anyone else absolutely hate this shampoo? Brazilian blowouts are a kind of smoothing treatment that you can apply any kind of hair that is rough and the hair that is not easily manageable. You, you will face a lot of problem when you will make you up for special occasion and parties.